ADVENTIST WORLD --- Adventists caught texting in church will have their phones confiscated and their texts read from the pulpit as of this coming Sabbath. 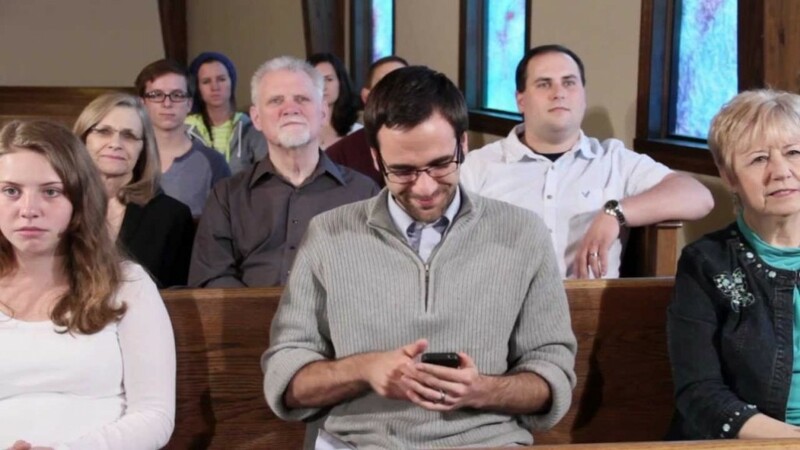 The clampdown on texting comes as the denomination battles what leaders are calling a "distraction epidemic" which has members glued to their phones throughout services. "It's going to be just like getting caught passing notes in grade school," explained Church Discipline spokesperson Dejate Denviar. "If you are texting in church we are just going to assume your are cool with the whole flock hearing your thoughts." Denviar said that the burliest deacons available on any given Sabbath will be in charge of busting offending members. After the texting member is relieved of their phone, the most recently composed lines of text will be read from the pulpit providing the pastor has not already started the sermon. Mid-sermon texts will simply be displayed on the overhead screens. Fantastic Idea. As long as the preacher can see them. When he sees that the texts are with others also in the same church service discussing how awful his sermon is, maybe he will try to preach something people might want to listen to. The only reason people text in church is because the sermons are so crappy! The preacher who tries this will learn something that teachers learned long ago: when the kids // members of the congregation learn this is going to happen, they will prepare for it. If I was there, I would describe in great detail my affair with the pastor’s wife. Charles..you naughty boy..Better not try that if you come to my church..a lot of jealousy. Focus on something else if you can! !